After Ms. Brown graduated in spring 2016 from Colby College in Maine, she packed her things and drove to Cleveland to volunteer for the Clinton campaign. She was quickly hired as a field organizer and walked precincts, talked to voters and worked on turnout. After the campaign, she assumed she would get a job in strategic communications or maybe journalism, but Mrs. Clinton’s loss made her believe she had to stay in politics and work to elect women. 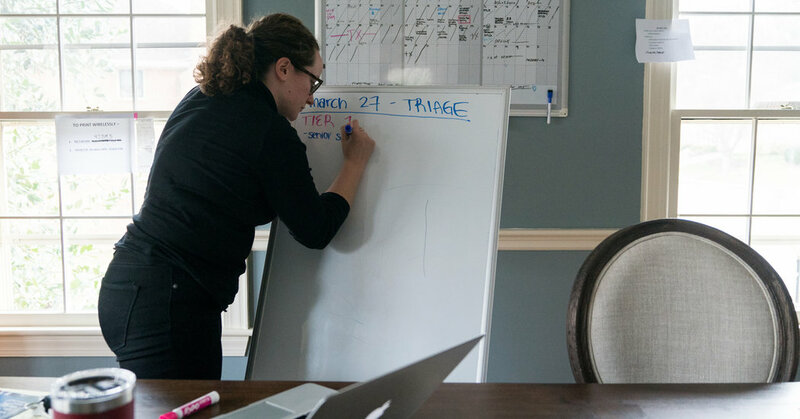 She connected with the Virginia chapter of Emerge America, a group that trains Democratic women to run for office. That led her to Wendy Gooditis, then a candidate for the Virginia House of Delegates who had $700 in campaign money and very little chance to win. Ms. Brown helped her create a compelling message, then relentlessly worked on raising money and contacting voters. Within six months, the campaign had raised $500,000, and Ms. Gooditis won her race in November. Ms. Brown’s success made an impression on Ms. Davis Stover, a former chief of staff to a Democratic congressman, who is running against Representative Barbara Comstock, one of the most vulnerable House Republicans.